The opportunity to tour Israel came at a good time. For months, my life has been a mindless plodding through necessary routine, as monotonous as an all-night shift on an assembly line. Life gets that way sometimes, when nothing specific is wrong but the world around us seems drained of colour. Even my weekly worship experiences and daily quiet times with God have felt as dry and stale as last year's crackers. I'm ashamed to confess the malaise I've felt. I have been given so much. Shouldn't a Christian's life be an abundant one, as exciting as Christmas morning, as joyful as Easter Sunday? With gripping honesty, Lynn Austin pens her struggles with spiritual dryness in a season of loss and unwanted change. Tracing her travels throughout Israel, Austin seamlessly weaves events and insights from the Word... and in doing so finds a renewed passion for prayer and encouragement for her spirit, now full of life and hope. In this non-fiction account of her most recent trip to Israel, Lynn shares her own faith journey, her thoughts and emotions while seeing and experiencing her Israel tour with appropriate Bible verses and her own, heart-felt spiritual insights. 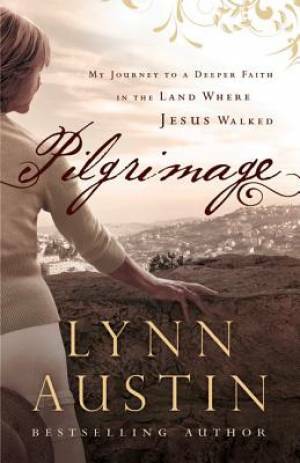 Pilgrimage by Lynn Austin was published by Baker in December 2013 and is our 12718th best seller. The ISBN for Pilgrimage is 9780764211188. Be the first to review Pilgrimage! Got a question? No problem! Just click here to ask us about Pilgrimage.